It’s time to raise the curtain / It’s time to light the lights / Nine shows, including The Muppets, got the ABC greenlight. 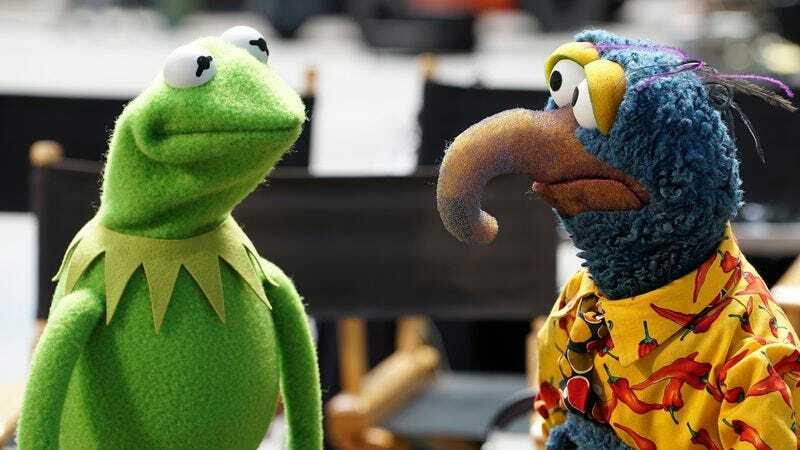 At the most sensational, Muppet-tational hour of “right before close of business on the West Coast,” the Alphabet released the details on three new comedies and six new dramas that will join its lineup next season. Community’s recent experiments in greenscreen technology just might have been a test run: Ken Jeong’s Dr. Ken pilot is finally going to series. The medical comedy puts Jeong in front of a solid ensemble that also features Suzy Nakamura, Dave Foley, Tisha Campbell-Martin (Prepare your “Ham, Gina!” jokes now), Jonathan Slavin, and, most importantly, BERT! Among the dramas, ABC re-upped its commitment to being in the Shonda Rhimes business, while also building up a reserve of politically charged premises and former stars of Gossip Girl. The Catch is the previously announced Shondaland series starring The Killing’s Mireille Enos as a fraud investigator who’s on the verge of being defrauded herself—by her fiancé. The pilot script hails from Hannibal writer-producer Jennifer Schuur—and was not, as Shonda Rhimes would like to remind you, created by Shonda Rhimes. An anthology series in which each season will follow a different case set in a different era of L.A. history, Wicked City begins with a murder investigation set against the backdrop of the 1980s Sunset Strip scene—both a wondrous fantasyland and a horrifying hellscape, as detailed in the popular songs of the time. Like the bright-eyed innocent portrayed by Axl Rose in the beginning of the “Welcome To The Jungle” video, Taissa Farmiga hops a bus to Wicked City from Ryan Murphy’s American Horror Story backwaters; Parenthood’s Erika Christensen appears to be playing a charter member of the Parents Music Resource Center. ABC should publicize where erstwhile Chuck Bass Ed Westwick got that jacket. The yawn-inducing Gallant to Westwick’s Gossip Girl Goofus, Chace Crawford, heads to North Dakota to strike it rich in the oil game in an untitled project from Surface creator Josh Pate and newcome Rodes Fishburne. In North Dakota, Crawford’s character is pitted against “a ruthless tycoon,” who might be played by Don Johnson, but isn’t Bart Bass, so that one feels like a wash. In The Family, a politician is reunited with her long-lost son—but is it really her son? Usually you can trust Zach Gilford, but there’s something suspicious about that stubble. Alison Pill reserves judgement, grateful that she doesn’t have to tolerate a bunch of bloviating Aaron Sorkin monologues about jumping to conclusions, something real journalists like Murrow and Cronkite would never do. ABC gets its own Homeland with Quantico, where the new class of FBI recruits might also harbor the mastermind of the most devastating terror attack on New York City since 9/11. So it’s also a little bit How To Get Away With Murder, a show that Shonda Rhimes can also tell you about not creating. Rounding out the drama slate that, surprisingly, doesn’t contain that Mockingbird-Lance Hunter Agents Of S.H.I.E.L.D. spin-off: Of Kings & Prophets, an epic also based on the fantastical stories of very popular literature. Ray Winstone stars as King Saul, and at the end of this exhaustive round of pickups, he appears like he could really use some rest.